How and why has this philosophy project got itself so involved with physiotherapy? 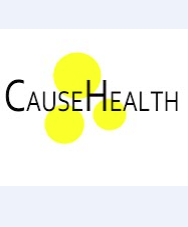 The background to the CauseHealth project is essentially that the world of health care is not straightforward, and indeed is characterised by complexity and context-sensitivity. Physiotherapy is a profession where these characteristics are easily visible, and so serves as a great ‘testing ground’ for the philosophical work being done by CauseHealth. This in turn helps the project better understand its ideas. In doing this, physiotherapy itself gets a deep and critical understanding of the job it does, and of the scientific research which informs it. We are now symbiotic! On May 12th, we organised a CauseHealth conference focussed on physiotherapy. We called it #CauseHealthPT and it took place in a wonderful Victorian courtroom in the centre of Nottingham, UK. So what was #CauseHealthPT trying to do? We wanted to try and get to a level of discussion within physiotherapy that had yet not been reached – a level which would challenge and inform both physiotherapy and philosophy. But how? I suppose when we (well, Rani) first came up with the idea of collaboration, I thought we would play it safe. I envisaged a day of discussions around evidence-based medicine (or physiotherapy) and clinical practice, perhaps weaving in some simple philosophy during the day. I then thought of a “for and against” set-up for, say, randomised controlled trails. But this has all been done, and wouldn’t get us anywhere with the project. We ended up with something truly unique. Something that would cast a dimension of analysis and discussion the likes of which many delegates would have not been previously exposed to. Of course, the central ideas of CauseHealth were there. Myself, Stephen, and Rani provided detail about core and ‘emerging’ philosophical themes from the project (this is a really funny joke because Stephen actually did talk about emergence). But then we had such a wide collation of thoughts and ideas. We invited world leaders in the politics of Physiotherapy to give their global views on the state of physiotherapy practice and science. Tracy Bury and Emma Stokes provided big-picture context to what was happening in evidence-based physiotherapy, and how global strategies could support a person-centred scientific re-conceptualisation. Power dynamics and issues of governmentality within EBM – something which I had briefly approached at CauseHealth N=1 workshop last October when talking about guidelines – were eloquently addressed in a sociological critique of EBM by Dr Fiona Moffatt. This gave delegates a further chance to understand how their practice was potentially being governed not so much by scientific rationale – and certainly not by true person-centred rationale – but perhaps by power dynamics masked within our system. Could a more explicit and person-centred account of causation in health science help address this? As the vast majority of the 100 delegates were practicing clinicians, we felt it absolutely necessary to think about how the abstract notions of CauseHealth could relate to practice. I have always been a bit sensitive about this, because I think there is much more work to be done on the theory yet. However, top physios Matt Low and Neil Maltby offered an insight into their own practice and narrated how their understanding of the CauseHealth project had significantly influenced the way they communicate and make therapeutic decisions with their patients. A real glimpse of how the philosophical work central to CauseHealth will have huge impact on daily practice. The day finished with local(ish) physio and pain scientist Dr Mick Thacker presenting his current thoughts and research (from his second PhD…). What we had intended was a display of mechanistic science and rationale, and how this forms part of the causal story – and this is exactly what we got. Presently, the EBM structure fails to account for mechanistic science as causal evidence, de-emphasising it to the lowest levels of its hierarchy. Yet here was Mick telling a story so scientifically compelling that it becomes difficult to see how population studies focussing on outcomes data alone could dictate what we mean by causation and ‘what works’. People, pain, and physiotherapy are complex and context-sensitive. Shouldn’t their science be able to embrace these features, not control them? #CauseHealthPT was clearly the start of a journey. If you missed it, don’t worry, our media partners ChewsHealth are busy working away on full video coverage of the day. And in true enthusiastic style, the ChewsHealth team have already called for #CauseHealthPT2.0. Watch this space.